Sacramental preparation for First Sacraments is a two year program beginning in first grade. After the completion of the preparation period children receive the sacrament of Penance/Reconciliation in the spring of their second grade year. Children who attend Religious Education classes or a parochial school and are registered parishioners of Annunciation of the Blessed Virgin Parish will make their sacraments together in the parish. Sacramental preparation for Confirmation is a two year program beginning in seventh grade. After the completion of the preparation period the children receive the sacrament of Confirmation in the spring of their eighth grade year. 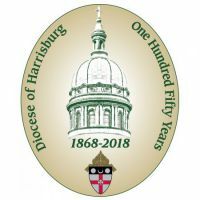 Confirmation is scheduled by the Diocese of Harrisburg, not the local parish. 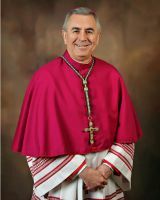 Children who attend Religious Education classes or a parochial school and are registered parishioners of Annunciation of the Blessed Virgin Mary parish will make their sacraments together in the parish designated by the Diocese.